NEW YORK (July 10, 2018) – Doctors were stumped – a boy suffering from seizures and severe headaches days after swimming over summer vacation; members of one family suddenly dying from developing strange symptoms; and little girls stricken with a mysterious disease known as Childhood Alzheimer’s – in season two of the HLN documentary series Something’s Killing Me with BD Wong. Returning Sunday, July 22 at 8pm ET/PT, Something’s Killing Me investigates puzzling and sometimes fatal cases, where life literally hangs in the balance. Each week physicians and scientists race against time to solve the mystery that will save their patient’s life. Through six one-hour episodes, family members, medical experts and CNN correspondents, including CNN Chief Medical Correspondent Dr. Sanjay Gupta and Senior Medical Correspondent Elizabeth Cohen, take viewers through the twists and turns of real, heart pounding stories. Emmy® Award nominee BD Wong (Mr. Robot, Jurassic World, Law & Order: SVU) lends his inquisitive nature to the series that spotlights medical conundrums through the lens of documentary filmmaking as host. 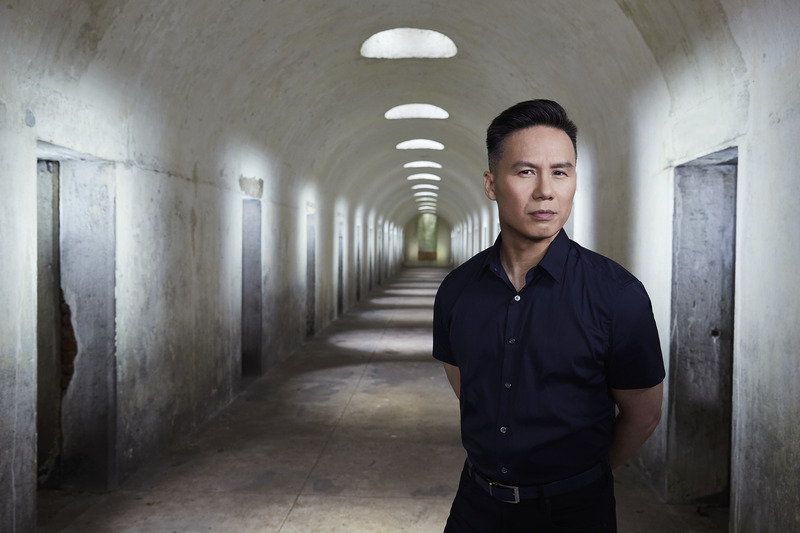 HLN will air new episodes of Something’s Killing Me with BD Wong season two every Sunday night at 8pm ET/PT. Viewers can find previously aired episodes on HLN On Demand and CNNgo, one day after their original airdates. Season one of the series is available on HLN On Demand. Seven-year-old Kyle Lewis loved summer. His family had a vacation house on a lake in Texas where they spent the days playing sports and hanging out with friends. On the last day of the season, the Lewis family spent the entire day in the water before heading back home for work and school. It had been a fantastic three months of summer, but Kyle was excited to see his friends at school the next day. However, by Thursday, something was wrong. All of a sudden Kyle wasn’t feeling well. He had a headache and a high fever so his parents brought him to the hospital. The initial diagnosis was viral meningitis. Doctors started treatment and by Saturday morning Kyle seemed better – but that afternoon he began to deteriorate and have seizures. Doctors worked frantically to help him. This was not viral meningitis and something was killing him. Would doctors discover what in time to save Kyle? Dr. Autumn Klein, a 41-year-old neurologist living in Pennsylvania with her husband and daughter seemed to have everything. She was successful, healthy and happily married to Bob Ferrante, a neuroscientist. But after returning home from work one night she collapsed suddenly in her kitchen. Her husband called 911 and Autumn was rushed to the ER desperately clinging to life. The trauma team, many of them her colleagues, were baffled by her condition. After three days in the ICU, it was clear that Autumn could not be saved. A few days after her death, a doctor at the hospital checks her chart and helps solve the mystery of what killed their colleague. Thomas Rybinski, a 56-year-old auto worker, showed up at the hospital in Nashville, Tennessee complaining of nausea and fatigue. After a blood test, spinal tap and CT scan, he was diagnosed with meningitis, then prescribed antibiotics and sent home to recover. However, a week later, Rybinski was back in the hospital after taking a turn for the worse. He was suffering from multiple strokes and severe headaches. Doctors were mystified. Then more patients surface with similar symptoms and doctors have to act fast if they hope to save lives. In April of 2012, 61-year-old Mark Staudte, a father of four and local musician from Sprigfield, Missouri, abruptly became ill. He was experiencing flu-like symptoms, acting bizarre, having seizures and his skin turned yellow. Within 48 hours, Mark died, and five months later, his 26-year-old son developed similar symptoms and passed away. Nine months later, his 24-year-old daughter suddenly became ill and was hospitalized in critical condition. Doctors wondered, what is happening to the Staudte family? Until one phone call, changed everything. The changes started subtly for two-year-old twins Addi and Cassi There was a bit of clumsiness, which was not that unusual for two girls who had always been healthy and happy. Across the country, in another family, six-year-old Hayley, began to fall behind in school and teachers thought it was ADHD – until she suffered a seizure on the playground. For years, puzzled doctors searched for a diagnosis as the girls’ symptoms worsened, and after a long medical journey, physicians discovered each girl had a strange, genetic disease that causes progressive neurological deterioration. The symptoms included seizures, ataxia and dementia. With a diagnosis, doctors raced to find a way to stop the girls from slipping into Childhood Alzheimer’s and in a surprising twist, it would be their parents who find a way to save them. On September 29, 1982, seven unsuspecting Chicago-area residents are stricken, and then died under mysterious medical circumstances. Doctors’ diagnoses included possible cardiac arrest, stroke and aneurism. However, within hours, a connection is made to all seven victims – something they all shared before collapsing unresponsive – and when the actual cause of death was discovered, a task force was formed to investigate. HLN features live coverage of national, regional, lifestyle, and entertainment stories in a fast-paced approachable tone with expert-led, personality driven hosts by day. The network presents a combination of live and unscripted programming dedicated to true crime, mysteries and investigations by night. HLN is a CNN Worldwide network reaching more than 90 million households in the U.S. CNN Worldwide, a division of Turner Broadcasting System, Inc., a WarnerMedia Company, is the most trusted source for news and information.